I had my first hockey bus trip and it was very fun. We drove 10 hours to Fargo, ND and then played in the tournament and came home. On the way there, I slept most of the time because we had to be on the bus at 7am and I am not a morning person at all. I sat with my best friend/the other goalie on my team and we listened to music and watched Netflix and we all just had so much fun. Once we got to Fargo we went to Walmart and on the way to Walmart a couple of the girls on my team and I saw a restaurant called “Space Aliens” and we thought it looked so fun so we decided to go there that night to eat because it was walking distance from our hotel. The food at the restaurant was really good and they had a little arcade there so after dinner we played a bunch of games and ran around. On Friday, we had our first game, we all loaded into the bus with our gear and we went to the rink. The rink was really nice. It had two ice surfaces and really smooth ice on both. We won our first game 5-2 which was really nice. On Saturday we had our second game and we won 5-1 and I played. In our third game we lost 2-1. We didn’t place in the tournament because there were 16 teams and you had to win all the games to place but we still got to play a game on Sunday and we lost 1-0 and I played. It’s was just a “friendly” game. 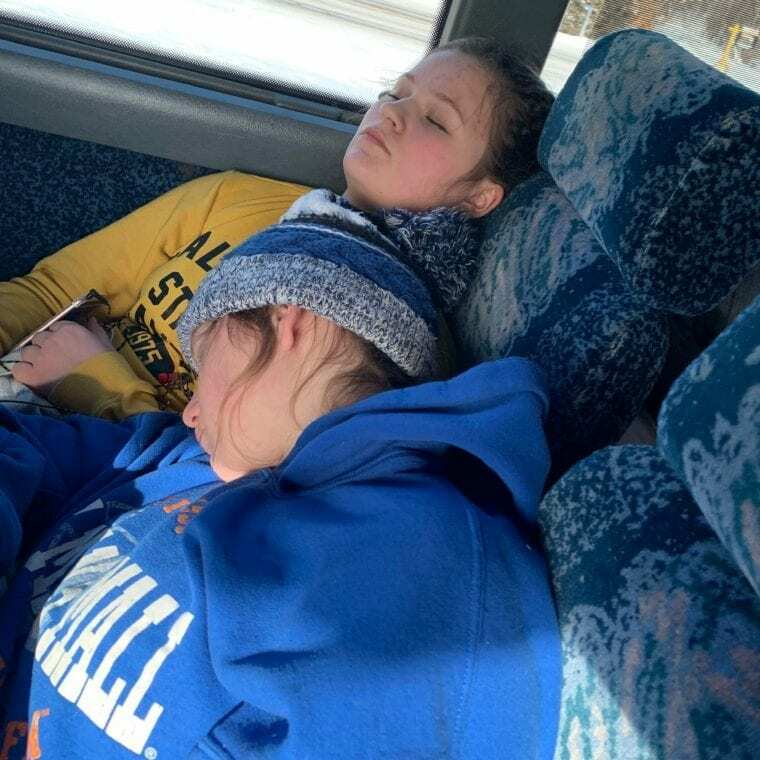 On the way back from Fargo everyone was so tired. We all slept for most of the ride again, except the last one or two hours we all got a lot of energy and we were playing music and singing. When we were on the trip, if the bus was going to the mall or going somewhere to eat we all had to go on the bus or we had to stay at the hotel because no parents had their cars. The coaches and manager for my team did a really amazing job of getting us to the arenas and everywhere on time all weekend. I had so much fun in Fargo. It was an amazing experience. It was a lot of fun on the bus playing music and hanging out with my team. That’s how my first bus trip went and it was super fun.